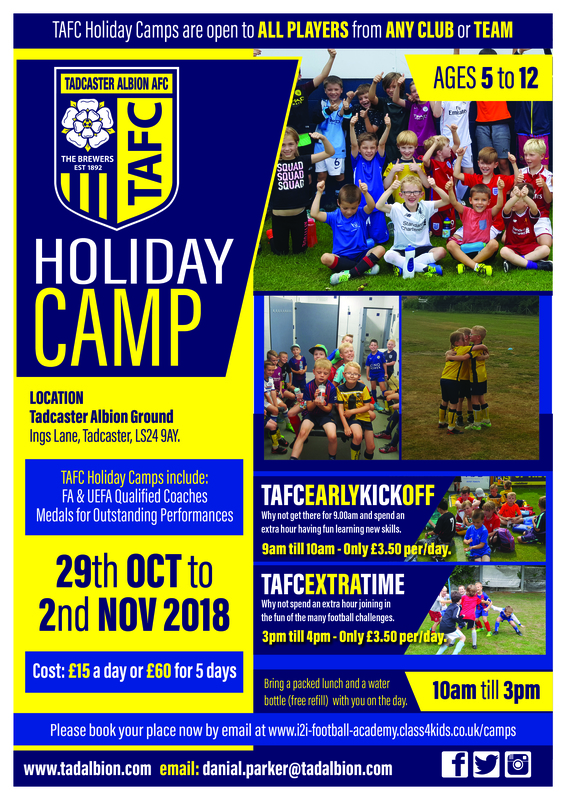 Did you know that we run Half-Term Holiday Camps through our TAFC Foundation? It all begins next week at the i2i Stadium (LS24 9AY) - why not come try it out?  Work-Rate Is The Answer Says Savory This week we spoke to ‘Yorkshire’s Number 10’ (and sometimes number 9) Aiden Savory to get his thoughts on the Cleethorpes win & more. Week Off For The Brewers  Due to Albion's exit out of the FA Trophy last week, they have a spare weekend with no fixture.